Though the trailer has been subject to many trolls and criticism, yet the promising cast and the previous parts of the movie are giving us major hopes from the movie. Directed by Remo D’souza, the film is set to hit the theatres on 15th of June. We couldn’t have asked for a better Eid treat! With its trailer, Ranbir Kapoor has already received a lot of appreciation as so we hope that the movie turns out to be as promising as the actor. Based on the life of Sanjay Dutt, the movie has received a lot of attention from critics, fans and the Bollywood industry. The movie is scheduled to release on the 20th of June. Akshay Kumar has at every point proved that he is an amazing actor who is not driven by commercial interests but believes in cinema for change. With some considerate movies like Rustom, Padman, Airlift, Baby, and Gabbar, Akshay Kumar has Gold for us this year, literally. Based on the life of an Indian sportsman Balbir Singh, the movie has been directed by Reema Kagti and the teaser looks very appealing. Much talked about commercial college drama film, Student of the Year 2 starring Tiger Shroff and Ananya Pandey is directed by Punit Malhotra and all set to release this year. A science fiction featuring Rajnikanth alongside Akshay Kumar is a movie we have all been waiting for. The film is reported to be dubbed in various languages and with A.R. Rahman as the music composer of the film, the makers of the movie have set real huge expectations for the audiences. The release date is not out yet but we already have our hopes too high for this one. Shah Rukh Khan, Katrina Kaif and Anushka Sharma- all together in a romantic drama! What more could we have asked for. The film also marks the last film appearance of the legendary actress Sridevi and thus is a very special film for Bollywood. The film is scheduled to release on 21st of December this year. The much awaited action-adventure is all set to release this Diwali. With an all-time pleasure to watch cast that includes Aamir Khan and Amitabh Bachchan, the film is an adaptation of the novel Confessions of a Thug based in the pre-independence era. 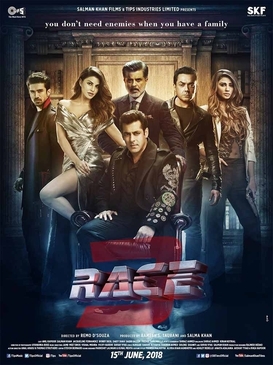 With a whooping production budget, it is one of the most expensive films of the Yash Raj Films production. We hope the film is as good as the budget. Irrfan Khan has always brought in versatility with his films and with Karwan, his new genre is comedy. Accompanying him is the Kriti Kharbanda, Malyalam star Dalquer Salmaan and the Little Things lead Mithila Palkar. The film is being directed by Akash Khurana and is scheduled to release on the 3rd of August. A fascinating small town tale is what it appears from its posters. Anushka Sharma totally rocks the de-glam look with a simple saree and bangles, and Varun Dhawan looks all the more promising with his moustache and an all-time charming face. A heart-warming story about finding love is what Sui Dhaga is all about. Dhamaal received appreciation by children and adults alike. It gave us giggles and the similar is being expected of its sequel, Total Dhamaal. Set to release on the 7th of December, the film stars Ajay Devgn, Madhuri Dixit, Anil Kapoor, Ritesh Deshmukh, Arshad Warsi and Jaaved Jaffrey. This was the compilation of some movies we are excited to watch! Let us know which ones you are waiting for in the comments section!